Calling for a freeze on permits, the Canadian Cement Industry says BC’s decision to preempt the national building code and allow 12-storey wood buildings is premature and unsafe. 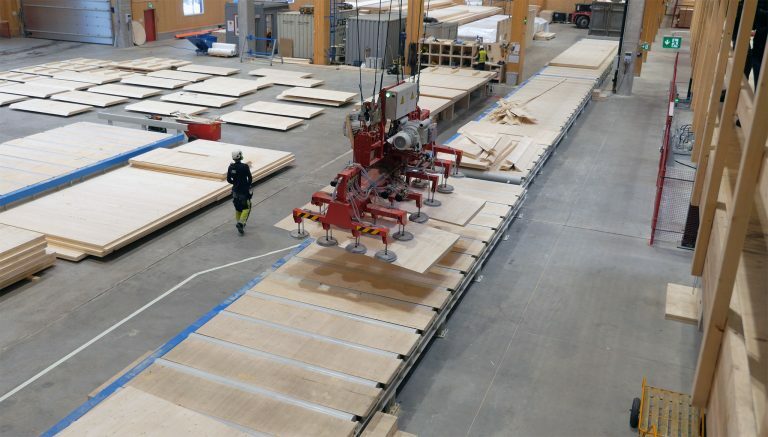 In related news: Kalesnikoff starts construction on mass timber mill; Structurlam touts CLT prefabrication benefits; Minnesota looks to lure a CLT manufacturer; and a tour through Stora Enso’s plant in Grums, Sweden. In other news: Repap submits offer for Resolute’s Fort Frances mill; Columbia Forest Products hopes to re-open its Rutherglen North Bay mill; and Roseburg is under investigation for potential use of illegal okoumé wood. Elsewhere: insurance companies use artificial intelligence to assess wildfire risk, while wildfire preparations are underway in Nova Scotia and Alberta. Finally, wolf cull isn’t a caribou solution for a former conservation officer. Construction is set to begin in just a few weeks on Kalesnikoff Lumber’s new $35 million project. The company is expanding into mass timber manufacturing and they say the new venture will be North America’s most advanced, fully integrated, multi-species mass timber manufacturing facility. The business expansion will create 50 full-time, technology-centered local jobs. “We are excited to grow from 150 to 200 employees and really re-invest back in the community,” said Kalesnikoff’s CEO Chris Kalesnikoff. …One of the products the facility will produce is glulam beams, which are laminated structural lumber. The other is cross-laminated timber, essentially large engineered wood panels. The facility will be able to produce panels that are up to 60 feet in length. …The building should be complete by September, with glulam production starting by the end of the year and cross laminated timber production starting by spring of 2020. On the heels of changes to B.C.’s Building Code to allow 12-storey wood buildings, a family-run mill in the Kootenays is planning a $35 million dollar ‘mass timber’ expansion. Mass timber is a replacement for steel in tall buildings and is just starting to get a foothold in North America. Kalesnikoff Lumber near Castlegar will get in on the future of tall building construction by building a mass timber manufacturing plant. The company says it will begin manufacturing wood panels later this year at a plant between Castlegar and Nelson. “It’s really exciting for our business and our family. We are a fourth generation business, and we are looking for ways to grow our business and stabilize our business, and this is a really important step,” says Chris Kalesnikoff, chief operating officer at Kalesnikoff. 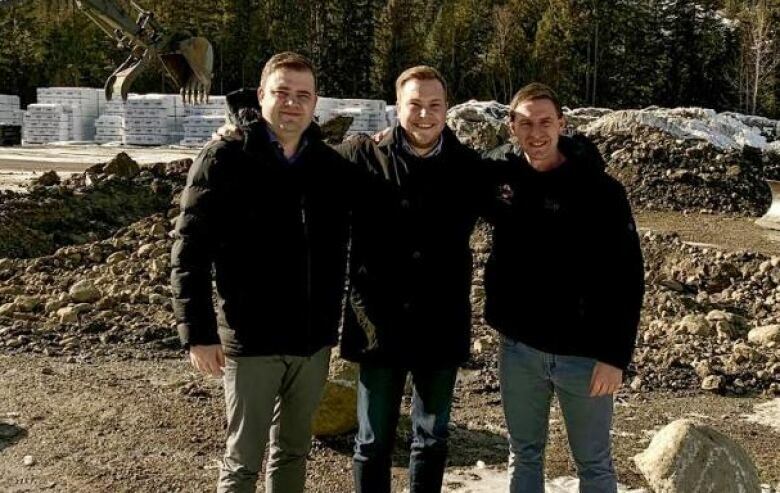 Not putting all your eggs in one basket has always been a good approach and the major Canadian forest companies have been following this advice for the past decade by making major investments outside of the country. The challenge seems to be how to use the multiple egg basket idea for the small business which can’t necessarily move their extra eggs (if they have any) far from their home base. …In anticipation of impending log shortages, the large forest companies have been busy acquiring investment opportunities outside of B.C. and Canada. Most have been in the USA, in particular in the southern pine belt. ….I would like to see government support for an independent group of resource users along with someone with the background and experience to work toward recommendations similar to the Gary Filmon report done for tackling the wildfire issues. Edson Forest Products West Fraser Mills General Manager Albert Oliveira appeared before Yellowhead County Council at the March 12 meeting to request a letter of support be sent to the provincial government to burn hog fuel in its olivine burner for another year. West Fraser had been shipping hog fuel materials to the Pinnacle Pellet facility in Entwistle but an explosion and fire earlier this year has shut down the mill for the next six to eight months. Meanwhile, the hog fuel is piling up and West Fraser is running out of places to store it. The current licence for the burner is set to expire on May 12. Mayor Gerald Soroka asked Oliveira what would happen if the pellet plant did not resume operations in the estimated six to eight month time period. Oliveira replied that he wasn’t clear on the damage caused by the explosion and fire. 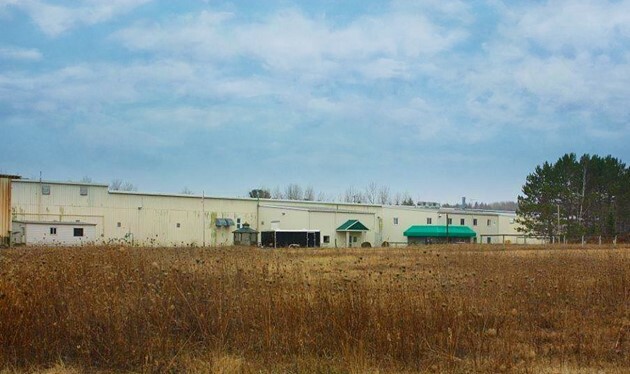 A private investment group has made an offer for the shuttered mill in Fort Frances, Ont., and says, if its bid is successful, it will restart the plant, putting hundreds of people to work. …Repap’s “multi-million dollar offer” for the kraft paper plant, which it submitted prior to a March 15 deadline, also contains proposals to work cooperatively with Resolute, including offering saw logs it harvests to Resolute’s sawmills in Ignace and Atikokan in exchange for wood chips as well as an offer to purchase raw pulp from Resolute’s Thunder Bay mill, said Repap’s president, Sean Twomey. Twomey said the mill would be primarily focused on producing heavy kraft paper… He added that the mill could also produce market pulp. THUNDER BAY – A structural fire at Resolute Forest Products was brought under control by the quick action of employees and help from firefighters. 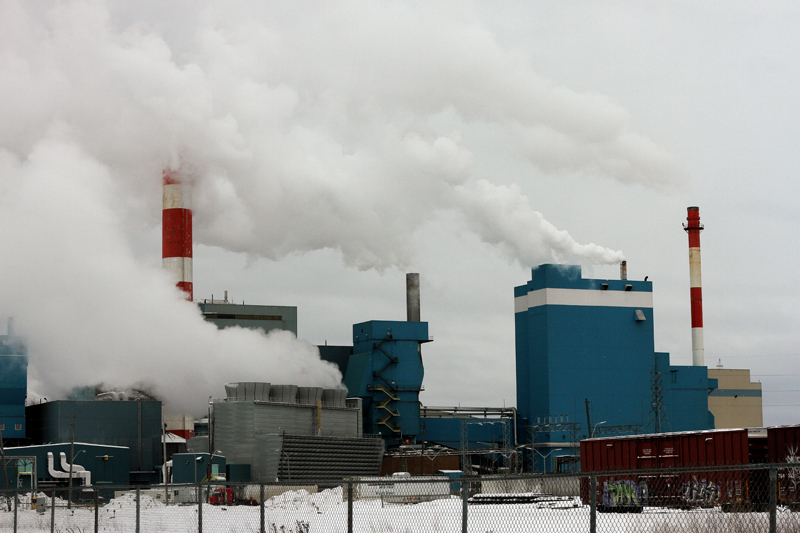 Thunder Bay Fire Rescue was called to reports of a structural fire at Resolute Forest Products on Neebing Avenue Sunday morning just after 3 a.m. Security staff guided arriving units to the fire, which was located in the number five paper machine. A bearing failure in the machine caused the fire and it spread to the ventilation system. Mill employees brought the fire under control prior to fire crews arriving, who then assisted employees in completely extinguishing the fire. There were no reports of any injuries or to the extent of the damage. Columbia Forest Products in Rutherglen is hoping to get up and running again very soon. The hardwood veneer mill has been shut down since late January, when officials became aware of a serious issue with the facility’s roof. “On January 28, we had several purlins (horizontal beams) crack in our ceiling,” explained Chris Daur, manager at the plant, located about 25 minutes east of North Bay. “The main structure is roughly 100 feet wide by 500 feet long, and there are main girder beams that are 20 feet apart – they are perfectly fine. It’s the smaller dimensional timbers in between that started to crack. “It was not throughout the whole mill. It was just in sections,” Daur added. “We were getting possible failures in the roof, and we evacuated the mill that day and stopped production until we could get it assessed.” The facility has been shut down since and workers have been put temporarily out of work. We hear a lot about different prefabricated homes these days …all designed to make the building process easier, faster and more efficient. It makes sense then that we’re hearing more about prefabricated building materials that are designed to do the same, such as cross-laminated timber or CLT — mass-produced sheets made from a mix of wood (like spruce, pine and fir) and mixed with polyurethane. “Because our process is very digitized, we can do a lot of prefabrication with our robotic equipment in our factory,” says Hardy Wentzel, CEO of Penticton-based Structurlam Mass Timber Corporation. “So when it gets delivered to a construction site, you’re actually assembling things; you’re not actually having to build things.” …At this stage, CLT is seen as more of a substitute for concrete and steel than wood stick framing, says Bryn Davidson, designer and co-owner of Vancouver’s Lanefab Design/Build. VANCOUVER—Further consultations with construction, building materials sectors are urgently needed and no permits should be issued until the National Building Code of Canada has approved recommendations on 12 storey wood buildings located in seismic areas. The Cement Association of Canada expresses surprise at the announcement by the BC government that they would bypass the ongoing 2020 National Building Code of Canada (NBCC) processes and allow municipalities to issue building permits for encapsulated mass timber construction up to 12 storeys. The Building Code review process is not yet complete. Of greatest concern, especially in the context of high seismic zones in BC, is that there are, as of yet, no approved seismic design specifications for 12 storey cross-laminated timber buildings in the 2020 NBCC. …There is a significant amount of evidence available that refutes wood industry claims about tall wood building safety, earthquake resistance, resilient construction and environmental performance that needs to be closely examined in a transparent way. GRUMS, SWEDEN — Generally speaking, we’ve seen in a trend where the forest industry has made big bucks on paper for the crapper while timber has been step-motherly cut in bulk, with numbers in the red. We have brought this up on numerous occasions – our area (Nordic) is too small to compete in bulk on the world market, and to lower the age for final felling and fertilize could be a motto from the pulp industry that could harm the industry long-term. …Today we were invited by Stora Enso to a press showcase of the new CLT factory in Grums, Sweden, located next to the Gruvön sawmill. …But oh how wrong I was! …The investment in CLT means that Stora Enso as a company will be competing with the concrete industry, primarily in prefabricated houses. South Korean beauty conglomerate AmorePacific has pledged to use paper packaging over bubble wrap, in response to consumer concerns over plastic waste and its environmental damage. The new eco-friendly packaging materials, geami and papillon, are shock-friendly despite being made of paper. It took months of research and testing before the company found the right eco-friendly materials for the job According to AmorePacific, the paper packaging costs two to three times more than traditional bubble wrap and adds more time to the packaging process. The firm said such disadvantages did not matter as long as it benefitted the environment. Addressing the threat of climate change is a significant concern for Americans and Canadians, and climate scientists have stressed that protecting global forests is as urgent as stopping fossil fuel use. …Moreover, Canada’s curated image as a model of sustainable forestry is undercut by the evidence that the country’s ongoing loss of intact forest landscapes is only exceeded by Russia and Brazil. Yet Canada’s forest degradation has largely managed to fly under the radar of international scrutiny. One key reason is because Canada asserts that its logged forests are regenerated. The government states, “A forest that has been harvested is still a forest.” Canada’s talking points on regeneration mirror those of powerful industry groups, who have long stated that 100 percent of harvested forests are regrown. There may still be snow on the ground — but Alberta’s wildfire season has already started. Mike Flannigan, professor of wildland fire at the University of Alberta and director of the Western Partnership for Wildland Fire Science, said there’s the possibility of wildfires in March, and the season has already started. …”May is our busiest fire month. For the rest of the country it’s June or July, with the exception of B.C., which is August,” said Flannigan. The Polar Vortex may have caused the coldest winter in Calgary in 40 years, but that will do little in the way of preventing wildfires this summer, he said. …He said 495 crew members will be prepared for this spring. Trainees learn to battle wildfires with formal classwork, mock field work and a lot of physical exercise. I recognize that this is a difficult time for debates on caribou-recovery options, especially predator controls such as wolf culls and organized predator bounties. However, this does not mean we invent science to support age-old predator rhetoric. Robert Serrouya… made several concerning comments regarding the viability of killing wolves to save caribou. …These conclusions… are at best an attempt to rationalize a century-old management practice of “killing to conserve.” …First, and most important, the study did not receive any ethics approval. …Second, the proximate cause of caribou population decline is identified as “predator” (largely wolf) while habitat loss is identified as the ultimate cause of decline. …Third, the B.C. government in the past 12 months has approved more than 80 logging cut blocks located, in part, within critical caribou habitat. 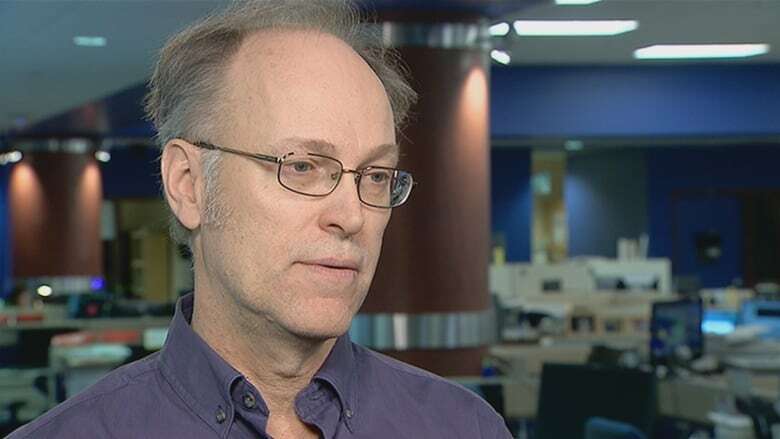 EDMONTON — Researchers and forest managers are turning to artificial intelligence in the hope it can help them predict the risk of catastrophic wildfires as climate change continues to rewrite the rule book. It’s been the subject of more than 150 recent academic studies, said Mike Flannigan, director of the Western Partnership for Wildland Fire Science at the University of Alberta. “It is definitely front and centre in terms of the research agendas in terms of wildland fire and will continue to be for the next years,” he said. One insurance company says it has already developed an artificial intelligence program that can assess fire risk well in advance. Fires are fought before they start, by getting equipment and crews to the right place to fight them early. Once well and truly ablaze, they’re tough to stop. I always get concerned when I perceive threats to the province’s once mighty forest industry. Western Forest Products, B.C.’s largest coastal lumber producer, has bought two sawmills in Washington over the last year. WFP acknowledges a major advantage, among others, to having production facilities in the U.S. is that the lumber produced there is not subject to softwood lumber duties if intended for the U.S. market. The company has assured it has no intention of abandoning B.C. anytime soon, but I still find it unsettling. I remember when I first arrived in B.C. many decades ago, I was amazed at how easy it was to get a fairly high-paying job in one of the many sawmills that were running on the Island at the time. …It turned out to be the hardest job I’ve ever had. Burning now restricted depending on time of day and conditions. These warming days don’t just signal the coming of spring. The Nova Scotia’s Department of Lands and Forestry kicked off fire season Friday. That means restricted hours and conditions under which someone can have open fires or burn branches and similar debris in their yards are now in effect. …Anyone wanting to burn large piles must contact the department and get a permit. Last year, 190 wildfires burned 251 hectares of forest across the province. That was significantly lower than the more than 700 hectares in each of the previous two years. Although there were high temperatures and not much rain last summer, high humidity helped keep the fire losses down. And while there wasn’t much snow this winter, the province’s supervisor of fire management, Jim Rudderham, is hoping for a wet spring to ease the risk of early season fires. A pilot project announced Friday will turn over planning and management of about 20,000 hectares of Crown land to Nova Scotia’s Mi’kmaq. The three-year deal gives the Mi’kmaw Forestry Initiative control over a parcel of Crown land near St. Croix in Hants County and another straddling Digby and Annapolis counties. “The goal of this initiative is to create a mechanism of co-operation and interaction with the province and private forestry operators,” said Rod Googoo, chief of We’koqma’q in Cape Breton and forestry lead for the Assembly of Nova Scotia Mi’kmaq Chiefs. During the announcement in Halifax, Googoo said the chiefs had been pushing for access to Crown land since the province bought the former Bowater-Mersey lands in 2012. The goal, he said, is to develop forestry expertise amongst the Mi’kmaw in the fields of management, harvesting and silviculture. ATLANTA — American Trucking Associations’ Technology & Maintenance Council and PIT Group of FPInnovations, announced the organizations will be conducting joint research projects on fuel savings and emerging braking technologies. …The two groups announced in September 2018 they had formed a strategic partnership to advance innovation in trucking through field-testing and truck engineering. The first two projects they will collaborate on will be developing a fuel-saving calculator and exploring electromagnetic braking systems. …This calculator is an interactive mathematical tool that’s used by equipment operators to evaluate the potential fuel and economic savings of an aerodynamic device based on test data. 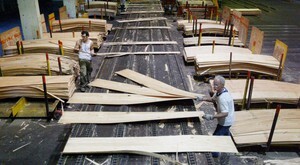 OREGON — Citing a lack of federal timber, the Swanson Group recently announced the permanent closure of its sawmill in Glendale, which had operated since 1951. This is yet another economic sacrifice in Douglas County as federal forest management policies fail to deliver their ecological and economic goals. …This artificial log shortage in the middle of the world’s most productive softwood forests is decades in the making. …National Forests in Southern Oregon are producing less than half the volume anticipated under the Clinton Northwest Forest Plan. Meanwhile, the current BLM management plans allow sustained-yield commercial timber harvest on only 20 percent of the lands formerly owned by the Oregon and California Railroad. …Ultimately, the Swanson mill closure is a reminder that forest management policies are choices, and they have consequences shared by us all. Roseburg Forest Products, one of the country’s leading manufacturers of particleboard and plywood, has ended production and sales of certain lumber products in the midst of a federal investigation into whether the wood came from the illegal logging of African rainforests. U.S. Immigration and Customs Enforcement confirmed that its Homeland Security Investigations division has an ongoing investigation into illegal imports of okoumé, a wood used for plywood and veneer siding. The Lacey Act prohibits the trade of plants and wildlife taken, stored or transported illegally. …Okoumé is used in some of Roseburg’s Real Wood Siding products. …Roseburg purchased the okoumé veneer for use in siding products from two importers: Cornerstone Forest Products, based in Eugene, Oregon, and Evergreen Hardwoods, based in Mercer Island, Washington. 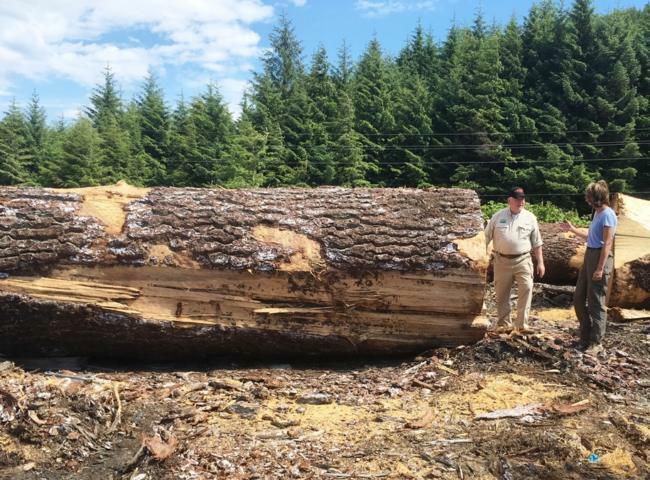 The U.S. Forest Service is moving ahead with one of the largest old growth timber sales Southeast Alaska has seen in years. The federal agency plans to make its decision official Saturday at a signing ceremony in Craig. The Forest Service announced in 2016 it would largely phase out old growth timber sales in the Tongass over 15 years. But this latest Prince of Wales Island LLA project projects harvesting as much as 225 million board feet of old growth lumber. Alaska Forest Association Executive Director Owen Graham said young growth timber might employ seasonal lumberjacks but it’s the big trees that keep Southeast’s remaining mills open. …Conservationists are alarmed by any new old growth logging. BANGOR, Maine — A pair of Maine lawmakers wants to get more of the state’s teenagers interested in logging. Logging has a long history in deeply forested Maine. Independent Sen. Angus King and Democratic Rep. Jared Golden say they’re introducing legislation designed to “level the playing field for the logging trade with other agricultural fields.” The lawmakers say their Future Loggers Careers Act would allow 16- and 17-year-olds to learn logging under parental supervision. They say that would allow the teenagers to contribute to family businesses, as well as help the businesses survive. 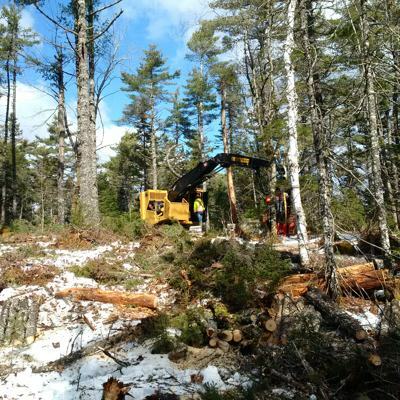 The group Professional Logging Contractors of Maine supports the legislation, which it says will help ensure a future generation of timber harvesters in the state. 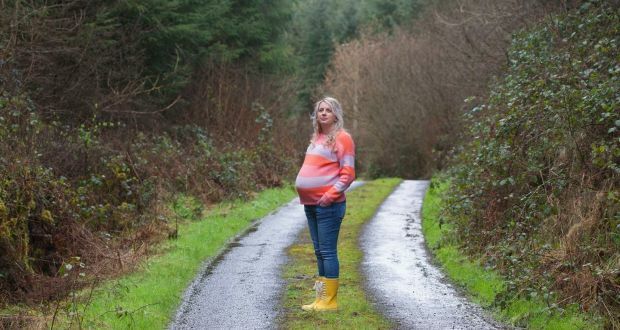 When the musician and dancer Edwina Guckian was a child in the 1980s and heard there was to be a forest planted behind her family’s farmhouse in Co Leitrim, she thought it was going to be like a fairy story and Disney combined. …“By the time I was 13 I’d copped on,” she says. “This is load-of-crap forestry, miles upon miles of it. It was never even thinned out. Sometimes our cattle go in and get lost. You can spend weeks searching for them. …In 1900, Ireland had the lowest forest cover in Europe at just 1 per cent. That has risen to 11 per cent now and the Government has set a target of 18 per cent by 2050. However, just 2 per cent of our trees are native species, and half of the country’s forests are made up of Sitka spruce which originates in the US.